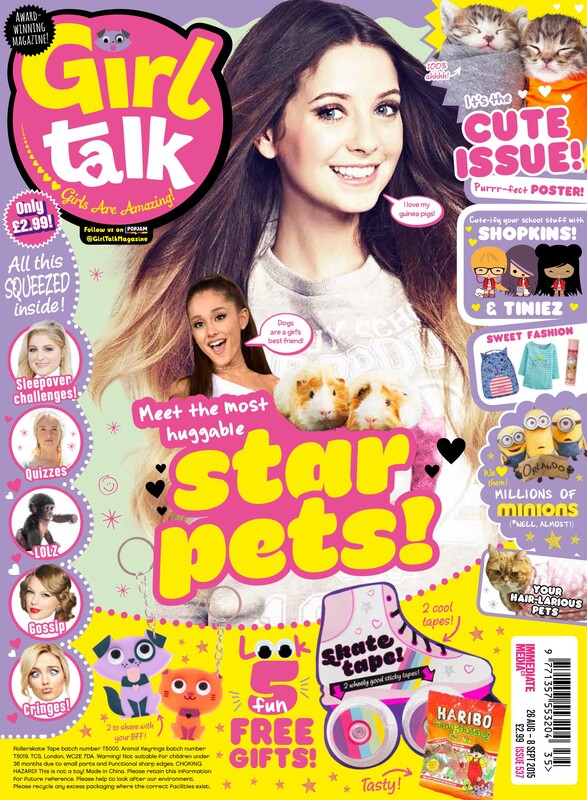 Follow Girl Talk Magazine on PopJam – @GirlTalkMagazine! Grab your copy of Girl Talk for all the latest LOLs, fashion, gossip and fun! It’s the biggest and best magazine for girls aged 7 to 11 – and is all about the things that are important to you! Each issue is packed with news about your favourite celebs, quizzes, competitions, puzzles, posters and more – plus loads of free gifts too! This issue’s cover star is Zoella! Inside you’ll find gossip, cringes and sleepover challenges! There’s also free sweets and hair-larious pet pickets! Plus, there’s a 5 fun free gifts! Here’s our 4 favourite stories from this issue!